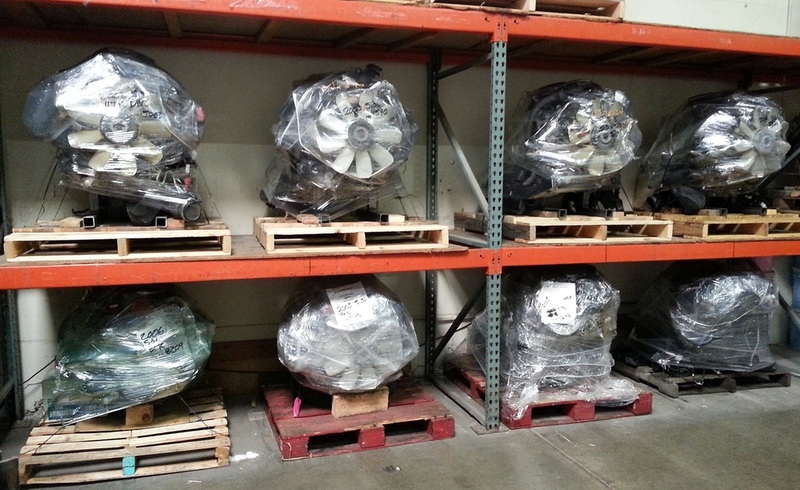 We are finalizing our Gen IV Vortec engine packages and available options. We will be offering them with our custom developed Dyno SD Tune (speed density). This will allow simplified installation eliminating the MAF sensor that is required in factory form. We hope to have them available soon, please check back. The Gen IV Vortec platform is more complex and therefore will increase costs. With these increased costs does come more HP and the potential to make seriously more HP due to the larger heads, redesigned and larger intake manifold, and Variable Valve Timing. Initially we will only offer stock Gen IV engines but will quickly have upgraded VVT Cam Packages and upgraded traditional Cam Packages on select engines. Our goal is to provide and ship engine packages that are truly "turnkey" with no need or requirement to do any final tuning or adjustments. To do this an SD (speed density) Custom Calibration and Operating System needs to be used on the Gen IV Vortec engines. The Gen IV EFI is MAF (mass air flow) based from GM where as the Gen III is SD (speed density) based. All of our Gen IV Vortec engines will come with custom performance dyno tuned SD Calibration & OS. We don't just turn the VATS (vehicle anti theft system) off and ship engines! We make sure they are making peak HP. The MAF has a valid and important roll in modern EFI related to emissions, fuel economy, and performance BUT requires that it be calibrated to the intake tubing design (size, length, bends, etc.). You can read more about SD vs MAF on the link to the left. If a MAF is not calibrated it will surely hurt performance more than helping in that the ECM is getting the wrong airflow data for the engine at any given RPM. Therefore fueling requests are inaccurate and performance / drivability suffers. For a "swap" project EVERY installation will essential be unique. GM can sell MAF based EFI cars because they replicate the same intake system on every car model (production cars). But your project will be unique as well as your intake system. By running our custom dyno tuned SD Calibrated Gen IV or Gen III I can guarantee performance and the success of your project in a truly "turnkey" package. A 25% Deposit secures anything in inventory as YOURS. A "build" date will be given when deposit is received. $500 of your deposit is NON REFUNDABLE if you back out AFTER engine is completed. ALL ENGINES INCLUDE ECM AND NEW OR OEM MODIFIED HARNESS DEPENDING ON APPLICATION AND ARE TRULY - READY TO RUN!!! Step 1 - Fill out and submit a Purchase Form. Step 2 - I will generate an invoice with all options, estimated shipping, and scheduled process date - You will then get an email back with an online link to the invoice. This may take several hours our up to a day depending on how busy we are. But engines are initially secured by day / time stamp of when Purchase Form is submitted. Step 3 - Follow the link to the invoice in the email and ONLY pay the noted DEPOSIT (approximately 25% of total) via preferred Credit Card. Note: I do accept cash, certified checks, or even personal checks for deposits to avoid processing fees, but I MUST be notified as I will only hold engine for 24 hours otherwise. Step 4 - Wait for your engine process date! I will then send you a final invoice email that is complete with actual shipping charges, links to pictures and video of your engine for approval. Follow link to invoice, pay balance within 7 days and we ship engine to you. Again, I will accept cash, certified checks, or personal checks for the balance to avoid processing fees. Certified check and credit card payment engines ship ASAP. I will hold engine for approxiametly 7 days AFTER on personal check payments. Payments can be made with Cash, Certified Check, or Credit Card via your online invoice. A 3.5% processing fee will apply for ALL payments by credit card. Give us your email and we will notify you when new inventory is posted to this page.